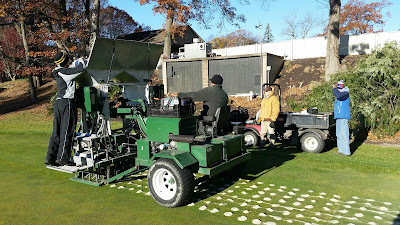 We have been preparing our greens for winter. We do our best to extend the playing season as long as possible. Weather is the limiting factor. Frosty mornings and frozen ground or frozen sand limits our ability to perform these labor intensive tasks. 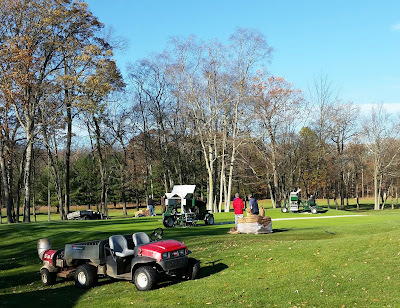 Wet ground also makes it impossible to run the heavy equipment over green surfaces. 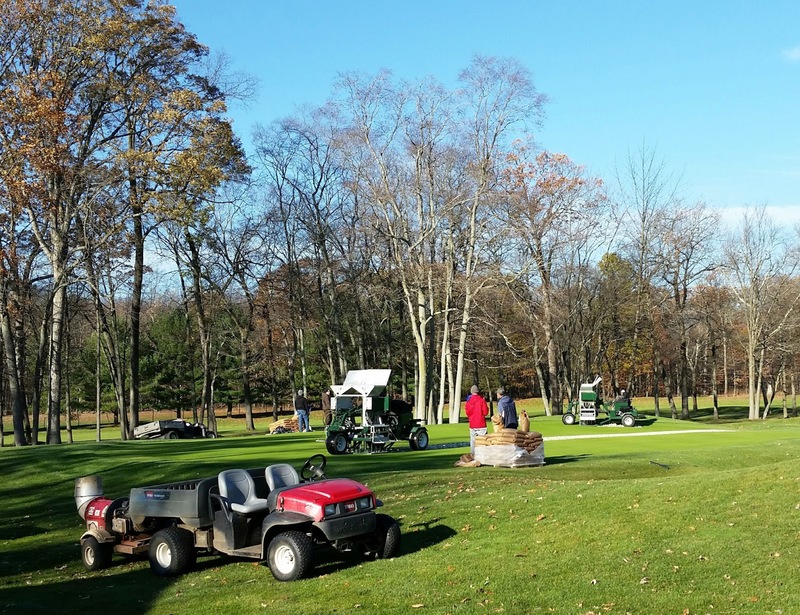 The staff spread 40,000 pounds of sand yesterday!